This is the first of the three interviews to the designers of programs to create infinity lists. The first Army creator that I used was the Infinity Pool, it was simple, fast, you dont have to wait for anything. It was very useful and easy to use. Its a web page where you may make your lists, store them, print them, and see other lists. The advantages are that runs on pretty much everything if you have internet, and that is very updated. You may print and you may also search for different lists. The bad thing is that you need Internet and that it does not runs pretty well on Android OS. Who are you? Where are you? 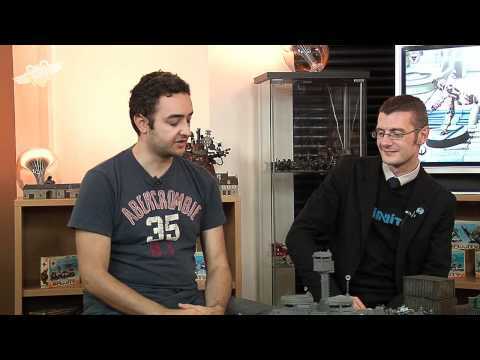 Are you a wargamer? My name is Alan Hietala a 30 year old software engineer from Toronto, Canada. I've been a casual wargamer since a fairly young age. Which wargames have you played? 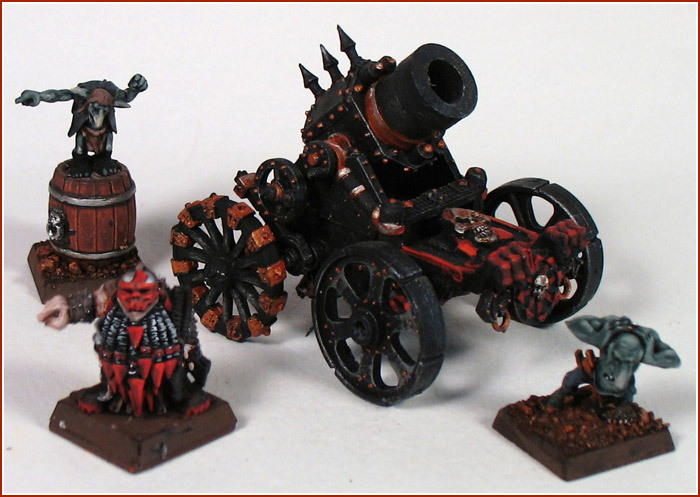 Started out with warhammer fantasy battle back in the 90's with a Chaos Dwarf army, the earth shaker is one beast of a cannon. Added playing warhammer 40k with an Imperial guard mortar based army after that (I have a thing for large artillery pieces). I also have a Lizardman WH Fantasy army that I play every once in a while. Before really getting into Infinity I was an avid AT-43 player and ran http://at-43addict.com before Rackham went out of business. I have all the released armies and the starter sets for each of the Cogs and Oni. 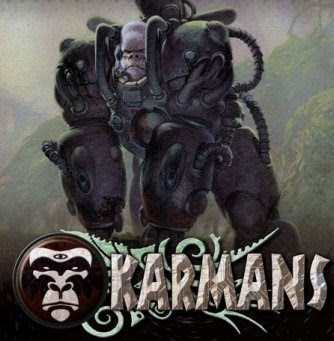 I still play occasionally and my favourite army is the Karmans. Currently most of my wargaming is centred around Infinity. I'm primarily an Ariadna player but also have a force of Yu Jing as well. Which language uses your program? the program is open source? Why have you done this program? Infinity Creator is written in Ruby on rails and I built it to learn the platform as well as have an army creator that would load quickly have a clean print view and be accessible anywhere in case I forgot my army list when I got to a gaming session. Currently the program isn't open source. I actually would like to open it up (I have no plans to make any money from it) but haven't taken the time to get in touch with Corvus Belli in order to work through licensing issues. The images on the site are Corvus Belli copyright and the rules for validation are their intellectual property. These are some of the legal issues surrounding open-sourcing the app in its current state. The site exists because Corvus Belli allows it to, if they took a stance like Games Workshop on their Intellectual Property I'm sure their lawyers would have contacted me a long time ago. This is another reason I really like Corvus Belli, They don't go out of their way to prevent the community from helping their game grow in popularity. Bernohn: Yes, the CB guys are really nice! What would I like to add to the program? I would like to create a better mobile app experience for the application. I started this a long time ago but never really got anywhere. Everything is mobile or tablet now. The needing to print out an army list is silly, you should just be able to get it on your phone and have all the weapons tables right there. This would let you use the app without a connection as well. The app could save the data locally on the phone, then when it did have a connection it could sync with the server and update your lists. I have tried to use the page in a tablet but I couldnt. When I wrote the original infinity creator, tablets were just starting to come out. I never really went back to update the interface to work well on them. I always have intended to create a better mobile / tablet experience but it has been a matter of finding the time to do it. Do you have other pages for other games? 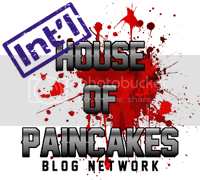 I run http://at-43addict.com but haven't updated it in a long time since Rakham went out of business. It was a shame because I really liked that game. Do you play infinity? which faction? why do you choose your faction? Do you have any page with pictures of your miniatures? I'm currently playing infinity with my Ariadna army. I also have a Yu Jing army but my Ariadna force is the primary one I use. I really like the low tech underdog nature of Ariadna, they're survivors, tough and make up for their lack of high tech weaponry with stealth and special abilities. Not having to be worried about EMP and Hackers is nice too. I picked Yu Jing as my secondary army because I like a lot of their miniatures. I wanted something with a lot of armour to offset the low tech of Ariadna. What do you think of the other two programs (ARO) and the Army of the Devil Team? I've never used ARO so I can't comment on it. 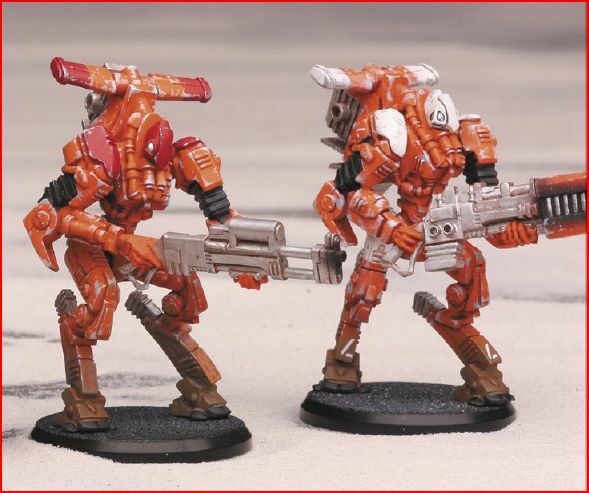 Infinity Army from devil team looks good and has better validation for Human sphere (linked units for example) but I don't like how you need to use an army code to load a list you're working on and I don't like that it takes a long time to load up. I took the KISS (keep it simple stupid) approach to Infinity Creator and it appeals to a certain set of people. ARO and Infinity Army appeal to a different set of users which is great. I'm just happy that more people are playing infinity. I don't care what tool they use, just that they continue to support this great game. How long did it take you to have a working version of the program? It took me a few weeks of evening / weekend work to get the initial prototype up and running and I incrementally improved it over the next 6 months in response to feedback. I had to do a bit of work when human sphere hit and I added an admin mode that would let certain users update the new sectorial lists. How many people are playing infinity in toronto now (approximately)? I'm not really sure what the player base is like here in Toronto I know there are a few local gaming stores that carry Infinity but there isn't a huge player base from what I understand. I mostly play with a few friends and haven't looked into organizing any larger scale events. Thanks for the program, because I have used it very much, and from time to time I use with friends in order to share lists or talk about lists! You're most welcome I'm glad you find it useful! El Infinity Pool fue el primero de los programas para armar listas de infinity que usé, era sencillo, rápido, y no tenía que esperar que se cargara. Es una página web donde podemos hacer las listas de ejércitos, guardarlas, imprimirlas y ver otras listas. Es muy útil y fácil de usar. Las ventajas son que se ejecuta en casi todo si tenés Internet, y que está muy actualizado. Las listas después se pueden imprimir, y además uno puede navegar por diferentes listas. Lo malo es que se necesita Internet y que no funciona muy bien en el sistema operativo Android. ¿Quién sos vos? ¿Dónde estás? ¿Sos un Wargamer? Mi nombre es Alan Hietala, soy un ingeniero de software de 30 años oriundo de Toronto, Canadá. Fuí un wargamer informal desde una edad relativamente joven. Bernohn: Pueden encontrar más info de Alan acá. Empecé con Warhammer Fantasy Battle allá por los años 90s con un ejército de Enanos del Caos, el cañon Earthshaker era una bestia. Además jugué Warhammer 40k con un ejército basado en el mortero de la Guardia Imperial (yo tengo una fijación con las piezas de artillería de gran tamaño). También tengo un ejército de WHF de Hombres Lagartos con el que juego de vez en cuando. Antes de entrar realmente en Infinity, era un ávido jugador AT-43, y creé un sitio sobre este juego (http://at-43addict.com), antes de que Rackham se saliera del negocio. Tengo todos los ejércitos que salieron y los sets de iniciación de los Cogs y los Onis. Todavía juego de vez en cuando y mi favorito es el ejército Karmans. En la actualidad la mayor parte de vida wargamera se centra alrededor de Infinity. Soy ante todo un jugador de Ariadna, pero también tengo una fuerza de Yu Jing. ¿Qué idioma utiliza su programa? el programa es de código abierto? ¿Por qué has hecho este programa? El Infinity Pool está escrito en Ruby on Rails y fue construido para aprender el lenguaje, así como para tener un programa que sirva para hacer lístas de Infinity, que se carguen rápidamente, para tener una vista de impresión limpia y ser accesible desde cualquier lugar en caso de que olvidé mi lista de ejército cuando llegué a una partida. Actualmente, el programa no es de código abierto. De hecho, me gustaría abrirlo (no tengo planes para hacer dinero con el), pero no tuve el tiempo para ponerme en contacto con Corvus Belli con el fin de trabajar los problemas de licencia. Las imágenes de la página son propiedad de Corvus Belli y las reglas de validación son de su propiedad intelectual. Estas son algunas de las cuestiones legales que tendría que resolver antes de abrir el código de la aplicación. El sitio existe porque Corvus Belli lo permite, si tomaban una postura como la de Games Workshop sobre su propiedad intelectual, estoy seguro de que sus abogados se habrían puesto en contacto conmigo hace mucho tiempo. Esta es otra razón por la que me gusta Corvus Belli, ellos no salen de su camino para evitar que la comunidad los ayude a que su juego crezca en popularidad. ¿Qué me gustaría agregar al programa? Me gustaría crear una mejor experiencia de la aplicación móvil. Comencé este hace mucho tiempo, pero nunca llegué a ninguna parte. Todo es móvil o tablet ahora. La necesidad de imprimir una lista de ejército es tonta, deberías ser capaz de tenerla en el teléfono y tener todas las tablas de armas allí mismo. Esto te permitiría utilizar la aplicación sin conexión también. La aplicación podría guardar los datos localmente en el teléfono y cuando lo hizo tener una conexión puede sincronizar con el servidor y actualizar tus listas. Cuando escribí el programa originalmente, las tablets estaban empezando a salir. Realmente nunca volví a actualizar la interfaz para trabajar bien con ellas. Siempre he tenido la intención de crear una mejor experiencia móvil / tablets, pero encontrar el tiempo para hacerlo ha sido un tema. ¿Tenés otras páginas para otros juegos? Tengo armada http://at-43addict.com pero no la he actualizado en mucho tiempo porque Rakham salió del negocio. Ha sido una lástima porque realmente me gustaba ese juego. ¿Jugás Infinity? ¿Con qué facción? ¿Por qué elegiste dicha facción? ¿Tenés alguna página con fotos de tus miniaturas? Actualmente juego Infinity con mi ejército de Ariadna. También tengo un ejército Yu Jing, aunque Ariadna es el ejército principal que uso. Me gusta mucho la naturaleza de poca tecnología y "Loser" de Ariadna, son sobrevivientes, resistente y compensar su falta de armamento de alta tecnología, con sigilo y habilidades especiales. No tener que estar preocupado por EMP y hackers es muy bueno. Elegí Yu Jing como mi segundo ejército porque me gustan mucho sus miniaturas. Yo quería algo con mucha armadura para compensar la baja tecnología de Ariadna. ¿Qué pensás de los otros dos programas: ARO y el Army del Devil Team? Nunca usé el ARO, así que no puedo comentar sobre eso. El Infinity Army de los chicos de Devil Team se ve bien y tiene una mejor validación con la ampliación Human Sphere (enlaces, por ejemplo) pero no me gusta que uno necesita un código para cargar una lista en la que está trabajando, no me gusta eso poruque tarda mucho tiempo para cargar una lista. Usé el principio KISS (Keep It Simple Estúpido) programando el Infinity creator, y este le puede gustar a un conjunto determinado de personas. ARO y Infinity Army les van a gustar a un conjunto distinto de usuarios, lo cual es genial. Estoy feliz de que más gente está jugando Infinity. No me importa que herramienta usen, sólo que sigan apoyando este gran juego. ¿Cuánto tiempo te tomó tener una versión funcional del programa? Me tomó un par de semanas de trabajo de tarde / fines de semana para conseguir el primer prototipo en funcionamiento y que gradualmente mejoró durante los siguientes 6 meses en respuesta a la retroalimentación. Tuve que hacer un poco de trabajo cuando apareció el libro Human Sphere, y he añadido un modo de administración que permite a ciertos usuarios actualizar las listas sectoriales nuevas. ¿Cuántas personas están jugando Infinity en Toronto ahora (aproximadamente)? No estoy realmente seguro de cuál es la base de jugadores aquí en Toronto. Sé que hay algunas tiendas de juegos locales en las que se juega infinity, pero no hay una base de jugadores enorme por lo que entiendo. Yo sobre todo juego con unos amigos y no busqué organizar eventos de mayor escala. ¡Gracias por el programa, porque lo usé mucho, y de vez en cuando todavía lo utilizo con amigos para compartir listas o hablar acerca de las listas! De nada, ¡me alegro de que les sea útil! Y así, termina esta primera entrevista, en este caso Alan Hietala del army creator. che, no me parece que funcione mal en el sistema Android, yo lo uso y me gusta bastante. A los de Devil team yo les pregunté si habían desarrollado algo para android y me dijeron que no. Me parece excelente que al ser simple y puedas usarlo por internet, es la forma más simple de crear y sobre todo compartir. Ojalá se actualize pronto. Muy buena la entrevista, por lejos lo que mas me gusta de tu blog! Que bueno, estas inciiativas son geniales. Habria qeu mencionarle a los desarrolladores que incorporen la posibilidad de agregar un dibujito y un par de numeros. Para identificar los camos y para indicar la posicion de los To. Con eso ya dejaria de imprimir. BlueHost is the best hosting provider with plans for all of your hosting needs.